Make 5 Beautiful Wrapped Bracelets! **This item has been discontinued. Limited to quantities on hand. 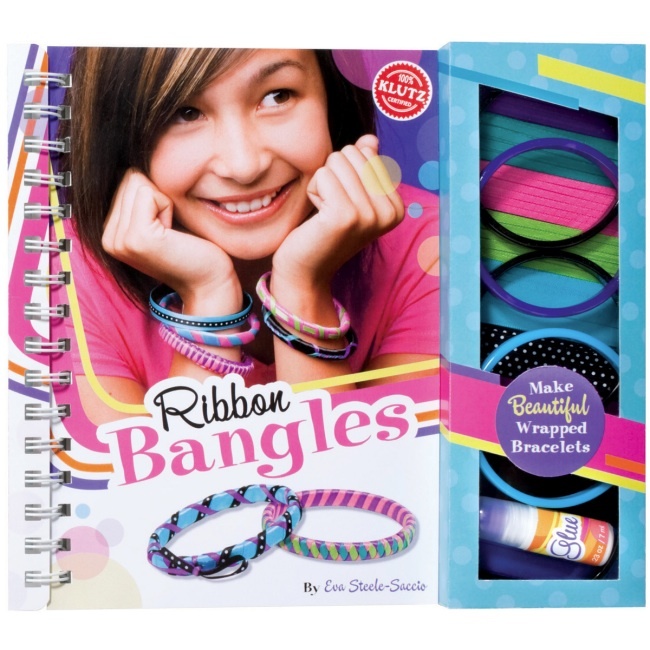 The Ribbon Bangles Kit from Klutz is a creative bracelet making kit for kids to turn simple bracelets into colorful chic bangles! 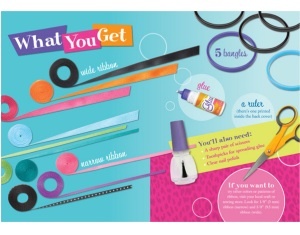 Kit includes a 52-page project book, 5 bracelets, 54 feet of ribbon in 9 colors, and glue. Project book includes step-by-step instructions for making a variety of stylish bangle bracelet designs using the materials provided in the kit. 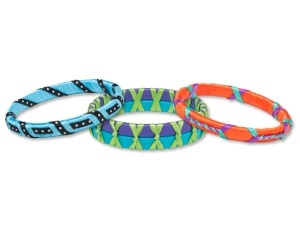 Makes 5 beautiful wrapped bracelets. For Ages 8 & up. Recommended for ages 8 & up.